As we ring in 2019, there are plenty of resolutions being made and likely already broken. Inc. Magazine’s list of the ten most common resolutions doesn't contain too many surprises. Prioritizing health and fitness through diet and exercise, spending quality time with friends and family, and other self improvement plans are on many people’s minds. Endless how-to articles and listicles are published this time of year to motivate and inspire individuals to stick with their resolutions. In a recent article, USA Today discusses several resolutions employees can make to have their best year ever at work. But more than a best year at work, HR teams can support both personal and professional resolutions. An HR department ready to support those employees may just see happier, more productive and more engaged employees. 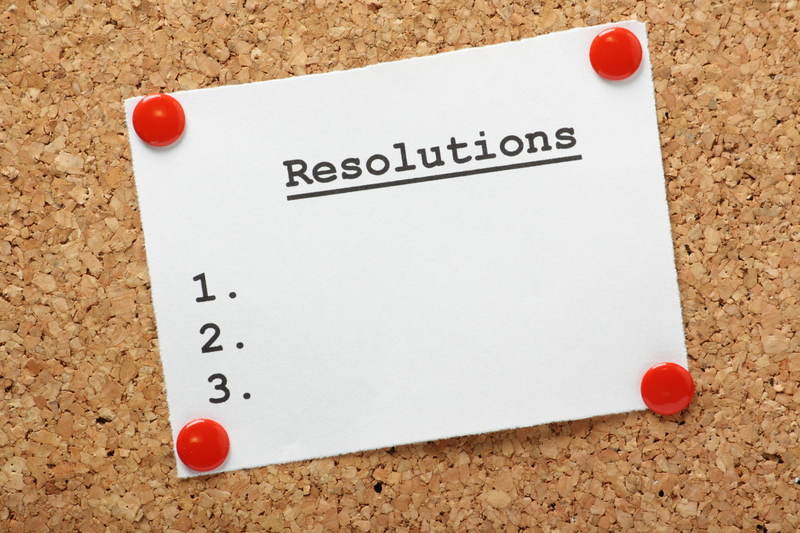 Here are some common resolutions and some proactive ideas for HR departments to consider. Many of your employees are looking to eat healthier in the new year. Employee Benefit News suggests a few key changes, rather than aggressive wellness pushes, can help employees make better food choices. Putting healthier options in vending machines or making healthy snacks a free break room benefit makes eating better an easier choices. Plan a tasting or activity around healthy and delicious food options to model better habits. Do keep in mind that dietary restrictions and preferences means a one-size-fits-all employees approach is likely to backfire! If your team members want to get out and meet people in related fields as a resolution, champion that cause. Encourage connection because, as an article in Mint highlights, beyond benefitting the employee, it can have incredible benefits for your company, too. Candidates referred by a current employee are eight times more likely to get hired. Employees are one of the best ways for potential hires to learn about a company and openings. Encourage networking within your company, too. At the office, encourage cross pollination by creating opportunities for employees to interact and learn from one another across departments or business units. Learn a new skill, a resolution on many minds, may include tackling a craft or an instrument at home. It could also mean learning a new skill at work. One HR professional recommends via Fast Company that employees commit to improving a work skill in the New Year. Investing in your employees through offering trainings, sponsoring professional development, or reimbursing coursework or certifications means a more skilled, more engaged, and even more loyal workforce. If budget is a concern, consider championing a mentor match, inviting employees to share expertise through lunch and learns, or create other opportunities for informal skill sharing through inter-office networking opportunities mentioned earlier. Saving more is a common resolution, and one that’s commonly failed. While retirement may be top of mind when it comes to savings, Workforce recommends considering other financial safety nets like a rainy day fund since 8 out of 10 Americans live paycheck to paycheck and would not be able to afford a $400 emergency. USA Today encourages employees make a point of brushing up on financial benefits like commuter assistance, 401(k) company match. HR can make all this even easier by helping employees brush up on what’s available or show how to set up direct deposits to make saving easier. Consider having a workshop or office hours for employees who want to ensure their financial resolution success this year.